By centering company culture on the idea that customers come first, brands like Disney provide unmatched customer experiences. 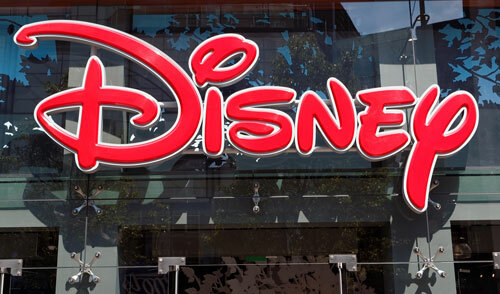 Launched in 1923, the Walt Disney Company has become a global, household name – a feat every business strives to achieve. The secret to Disney’s success is simple: a company-wide effort to deeply understand the needs and wants of its customers and deliver consistently on these expectations across every touch point. This strategy has resulted in a customer experience that is really world-class. Great customer experiences can drive active advocacy, so it’s important to ensure that all of your customers are completely satisfied during every step of the customer journey. To stand out from the competition, extra care must be taken to truly understand and deliver on consumers’ needs and wants. Before you can create great customer experiences, you must first understand what a great experience looks and feels like for your customers. Start by asking the right questions, i.e. what are the key elements of your experience that make your brand stand out in the minds of customers? Find out what drives people to your brand and causes them to be loyal advocates. By gaining insights into experience elements that resonate with your customers, you can harness customer intelligence to design a customer experience strategy that highlights your brand’s strengths. After listening to customers’ perceptions about your current customer experience, you can leverage insights to enhance or amplify appealing qualities, effectively differentiating your brand from the competition. For example, let’s say Restaurant A offers a wider menu, faster service and reasonable pricing, while Restaurant B produces higher quality food, exceptional service and a more welcoming environment. Both restaurants can further improve their appeal by amplifying their unique characteristics, accurately aligning their customer experiences with the preferences of their customer bases. Once you have identified and expanded on the elements that attract people to your business, employees need to be enabled to deliver on brand promises. Empower your employees to forge a human connection with customers by providing training opportunities and equipping them with important brand insights. When you give your customers more than they expect, you build positive emotional connections and establish goodwill. Even the smallest gesture can make a big difference. Customers enjoy pleasant surprises that add value – for example, you could offer a free consultation with a personal trainer as part of a new gym membership, or a personalized recommendation with a meal. By taking steps to enhance a customer’s overall experience, you make them feel good about their purchase and further differentiate your customer experience from other brands. A large part of Disney’s success is grounded in their unsurpassed ability to understand and build strong, long-term relationships with their customers. When you take the time to get to know your customers, you create loyal, powerful brand advocates for your business. Strengthen your brand-customer relationship by staying true to your word. If a staff member mistakenly tells a customer you’re offering a discount on a product when the item is full-priced, give the customer the discounted price. When you follow through on your promises, you establish trust among your customers and provide them with a more fulfilling customer experience. Companies like Disney achieve success by offering first-rate customer experiences through a complete and total understanding of their customer base. By incorporating customer feedback into your customer experience strategy, you will inspire your customers to become advocates of your brand. To set your brand apart from the competition, it’s important to listen to your customers and use their feedback to create customer experiences that are truly captivating. Gary Edwards is chief customer officer at Empathica, a leading global provider of Customer Experience Management (CEM) solutions to the world’s most respected multi-unit enterprises. Gary is responsible for oversight of sales, marketing, client strategy, account management, marketing science and retail insights. Gary is involved in solving business challenges with research and technology solutions. He has served a key leadership role during program design, implementation, and ongoing development with clients for the past nine years at Empathica.